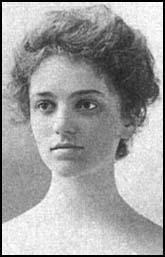 Blanche Ames was born in Lowell, Massachusetts in 1878. Her father was General Adelbert Ames, a union officer during the American Civil War, and later, Governor of Mississippi. Her mother, Blanche Butler, was the daughter of Benjamin Butler, the Governor of Massachusetts and unsuccessful presidential candidate in 1884 against Grover Cleveland. 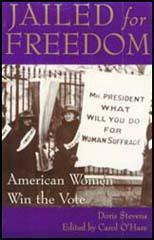 Blanche attended Smith College where she became active in the Massachusetts Suffrage Association. 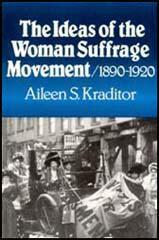 A talented artist, she worked as art editor for the Woman's Journal. 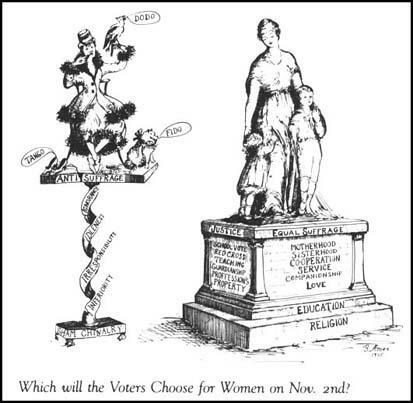 Her political cartoons in favour of women's suffrage also appeared in the Boston Transcript. Blanche, who married Oakes Ames (no relation), a botany professor at Harvard University, and had five children. Blanche Ames died in 1969.